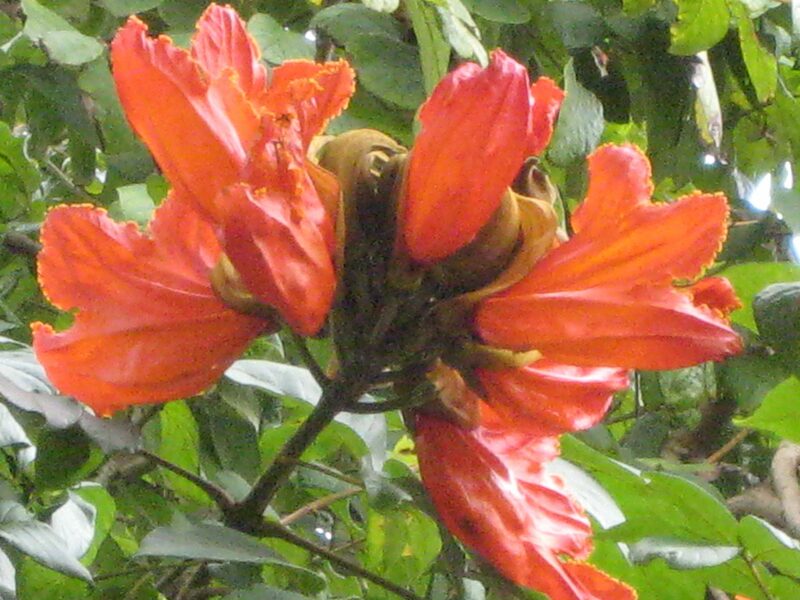 African Tulip Tree (Spathodea campanulata) - Richard Lyons Nursery, Inc.
One of the most striking of winter-flowering trees found in southern Florida is the African Tulip Tree, Spathodea campanulata. 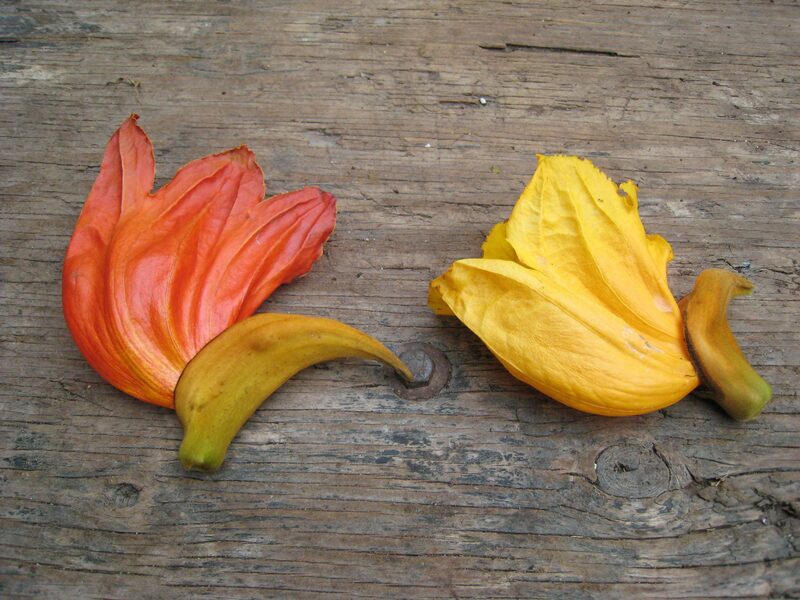 This fast-grower is monotypic, i.e., the sole species in its genus. 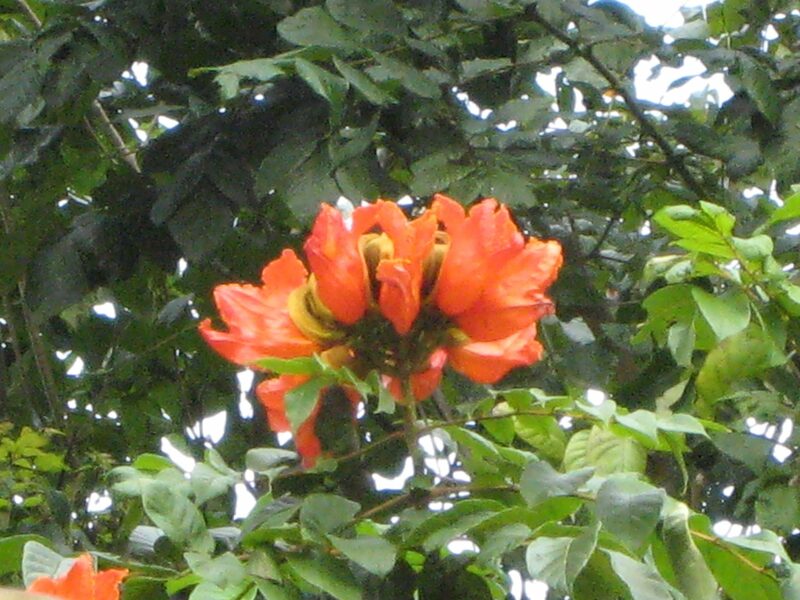 It is native to tropical areas of western and central Africa, where it can reach about 80 ft. in height, but in our part of the world, it settles into the 25-40 ft. range. 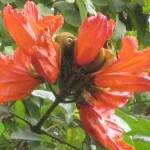 A member of the Bignoniaceae, Spathodea is related to Jacaranda, Tabebuia, and Radermachera. 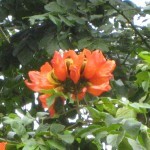 The African Tulip Tree should be grown in full sun. Its 3-4 in. 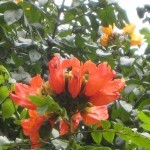 flowers, generally produced near the top of the crown, are usually in the red-scarlet-orange range, but a nice yellow form occurs less commonly. 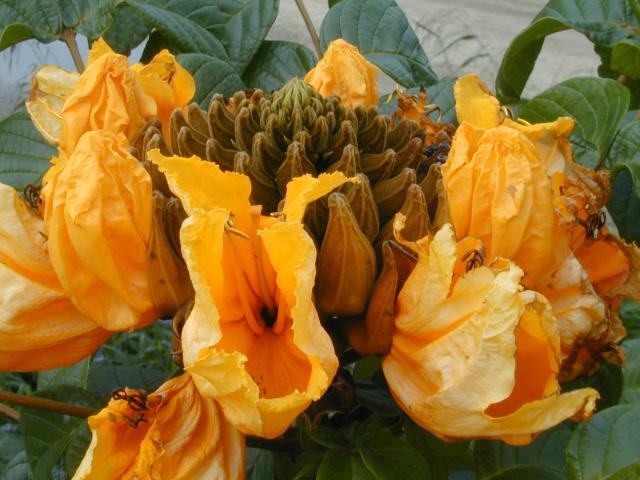 The plant’s species name is a reference to the bell-like shape of the blooms. What makes them particularly showy is their habit of clustering, which at a distance creates the impression of a very large flower. 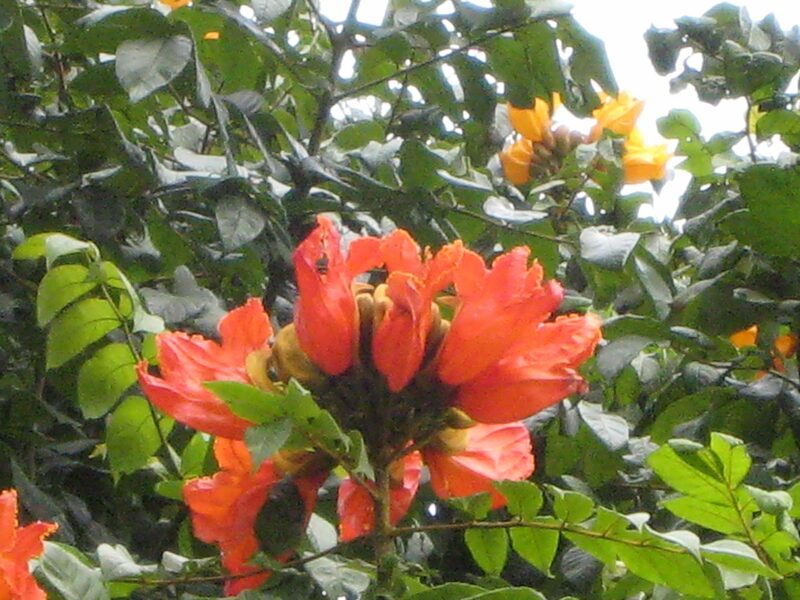 Because of their configuration, the flowers hold dew and rain, and accordingly attract birds. 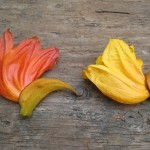 The seeds are small, winged structures, easily distributed by wind. The pinnate leaves of Spathodea mature to a glossy dark green and make the tree attractive even when not in bloom. 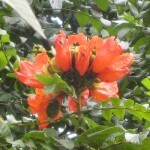 The African Tulip Tree is capable of flowering at just a few years of age when grown with ample irrigation. In fact, even though the species is quite tolerant of drought once acclimated to its planting site, it thrives in moist soils. It is therefore an excellent candidate for planting in areas that might flood from time to time. While Spathodea tolerates only a bit of frost, it does handle cool weather well enough to be found occasionally in coastal California. 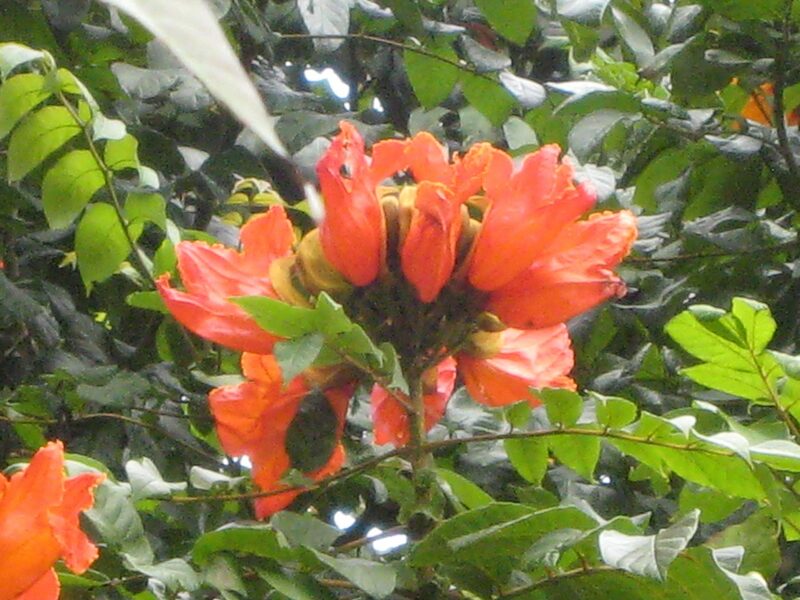 The wood of this tree is not particularly valuable commercially, though it is used to make drums, paper and bellows. However, it has one particularly noteworthy quality — resistance to fire — that helps make it a nice addition to residential landscaping. Both the red- and yellow-flowering forms are available at Richard Lyons’ Nursery in 3- and 15-gallon containers. 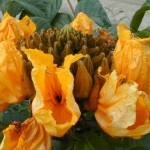 The yellow cultivar sold here is a grafted tree to ensure that you are purchasing a true yellow flower, since trees grown from seed are variable in color.